A non-profit agency that has been in Cookeville nearly 30 years will be getting a new, bigger home thanks to the help of some generous donors. Cookeville Pregnancy Clinic is getting a new building on North Dixie Avenue. 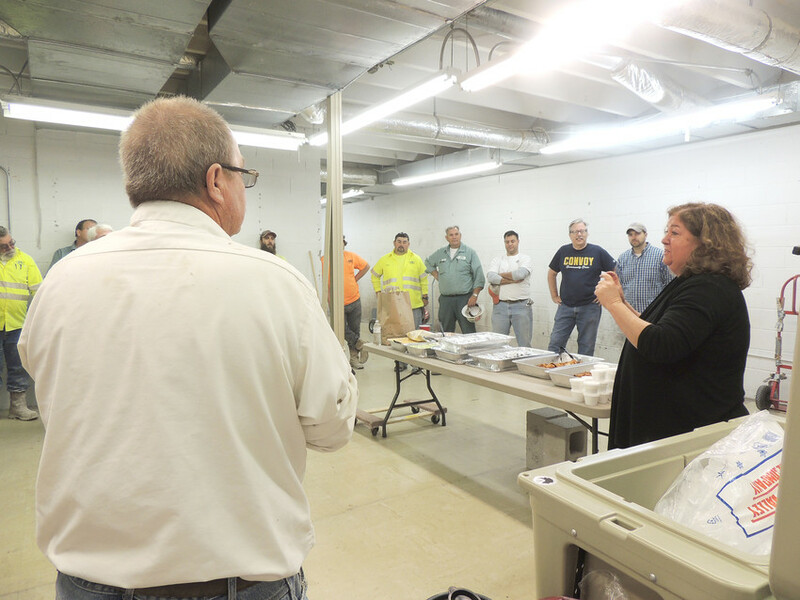 J&S Construction — along with eight subcontractors — is donating all its services to the agency to get the building ready. More than 50 people from J&S — from office staff to family members of employees — descended on 714 N. Dixie Ave. this past weekend to get the demolition done. "This is our way of giving back to the community," Jack Stites, president of J&S, said. "We believe in what the Cookeville Pregnancy Clinic does." Nancy Knowlton, director of the Cookeville Pregnancy Clinic, was moved to tears after she saw the amount of work done in just a few hours Friday morning. "I cannot say thank you enough," she said as the workers gathered for lunch. Cookeville Pregnancy Clinic has been at the same location on Willow Avenue its entire existence. "We've been looking for a bigger place for the last seven years," she said. "But nothing stuck out to us — until we saw this building." The proximity to Tennessee Tech University is what makes it so appealing to Knowlton. "I was a Tech student when I found out I was pregnant," she said. "I didn't have anywhere to go for help." The clinic began as the Crisis Pregnancy Center when a committee of individuals wanted to take a positive stand against abortion. After years of prayer and planning, the CPC opened in August of 1998 as an outreach ministry of First Baptist Church. It became its own 501(c)(3) non-profit organization in 2003. Knowlton has been with the agency since its inception. "I started as a receptionist, then was made director in 1995," she said. And it's grown significantly since then, helping thousands of people in not only Cookeville and Putnam County, but the region as a whole. The clinic expanded again in 2000 by adding a part-time administrative assistant position and in 2001, additional office space was rented and in 2002, a part-time abstinence coordinator position was added. In January 2006, the board decided to convert to the medical model for pregnancy resource center in order to provide ultrasound on site for those clients in crisis. The Baby Bucks program also began around this time. It's an education/maternal assistance program that helps provide the things necessary during pregnancy and after the baby is born. It is open to clients who are currently pregnant and up until the child turns one year old. Clients earn Baby Bucks by coming to the CPC once a week and completing tasks. The medical conversion was completed in January of 2007, allowing the clinic staff to offer pregnancy testing and confirmation by way of ultrasound. Around this same time, the name was changed to Cookeville Pregnancy Clinic. * To help women overcome a past abortion decision. "We don't judge anyone on their decisions," Knowlton said. "This clinic is open to all women who need help." The new building is 5,000 square feet. Work continues this weekend on the project, with CPC officials hoping to move in early next year. Visit www.cookevillecpc.org or search for Cookeville Pregnancy Clinic on Facebook for more information.